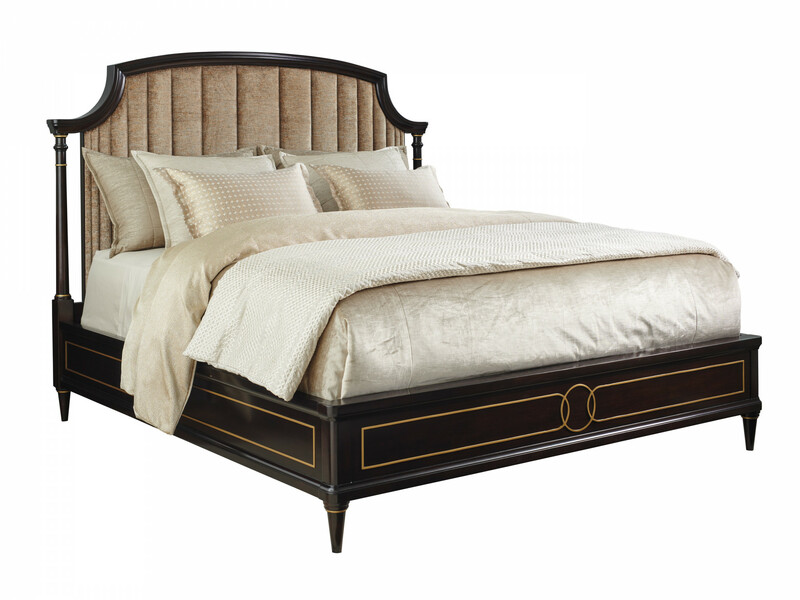 The Regency headboard features graduated vertical channeling on the upholstered panel and gold striping on the posts. You may choose from our fabric selection or send your own to personalize your bedroom. When completing the bed, be sure to order the footboard and siderails which are sold separately or for headboard only, you should add the deluxe metal frame for proper support and stability. Dimensions: 22W x 4D x 67H in.